All the comforts of home plus seaside restaurants & various shopping along “Times Square” fishing at the pier, gambling boat, golfing, tennis, greyhound racing all just moments away with an island shuttle running frequently. 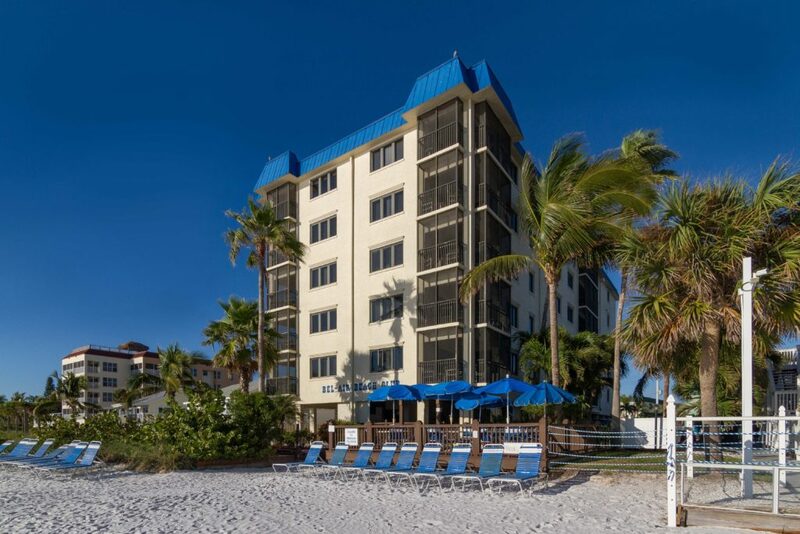 Sanibel & Captiva Island just a short drive away and only minutes to Ft. Myers, Bonita Springs, and Naples, and just 3.5 hour drive to Walt Disney World and all the other Orlando attractions! Closest airport is Southwest Florida International Airport (RSW), approx. 30 minute drive to Bel-Air Beach Club. Contact us using the form below to find out about availability in one of our condo units. Our office is located within the building. We will match you with a unit!